Confessions of a dance pants addict: So much dancing! Well, I've been quite the busy dancer. On Saturday we had a 2-hour dress rehearsal for the show. Sunday was the show itself, which went really well. I'll hopefully post some pictures and video next week. Let's just say that it is really awesome having a professional photographer in our troupe! You might think that after a big show we would take it easy, but no! 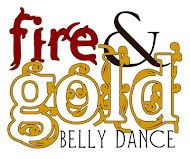 Members of Fire & Gold Belly Dance and our big sister troupe Skirt Full of Fire Dance Company will be banding together to perform an awesome choreography at the BreakOut Studios feature night on June 2nd. It's probably my favorite choreography so far. Between now and then, I will also be performing a solo at the Open Stage night at the Luxor Cafe, hosted by the Safar Dance Co. That's on May 31st. After that... who knows? I don't think the troupe has any more gigs lined up yet, as Summer tends to be pretty slow here in Tucson. Given that it's usually still around 100 degrees when I drive to class at 7pm, it's easy to understand why everyone either leaves town if they can, or hides in air conditioned buildings.